This is the next part in my on-going series to read as much of the Hugo nominated material as possible. I don’t feel right about voting in a category if I’ve only read one or two items nominated, you know? Earlier this week I reviewed the novelettes by Cat Valente and award winning Dutch author Thomas Olde Heuvelt. Today I’ll review Pat Cadigan’s The Girl-Thing Who Went Out for Sushi, and hopefully soon I’ll have a post up for the two (holy cow, two in the same category?? damn!) nominated novelettes from Seanan McGuire. What a wonderfully strange and completely out-there story! A few generations after the dangerous and sometimes involuntary “turning” procedures, Jovian space is full of sushi. That is, full of octopus and nautiluses and squid and jellyfish who used to be people. The title of the story is a pun on the slang term for going through the surgical transformation. The story is told through Arkae, who was one of the original generations of sushi. The only human on Arkae’s crew is Fry, the titular girl-thing. 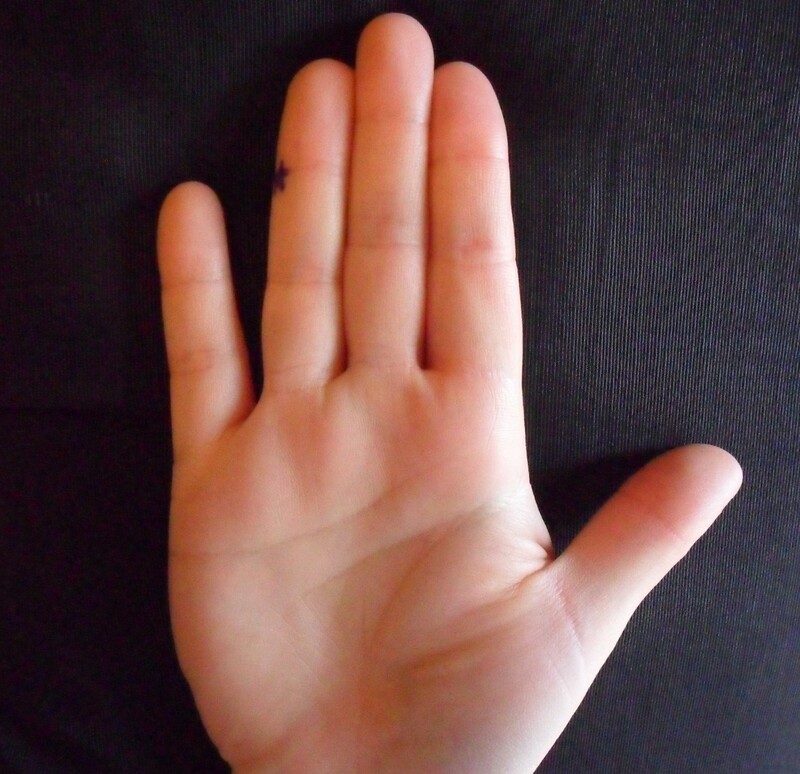 After sustaining an injury, Fry decides her best bet for staying out in Jovian space is to have the procedure. 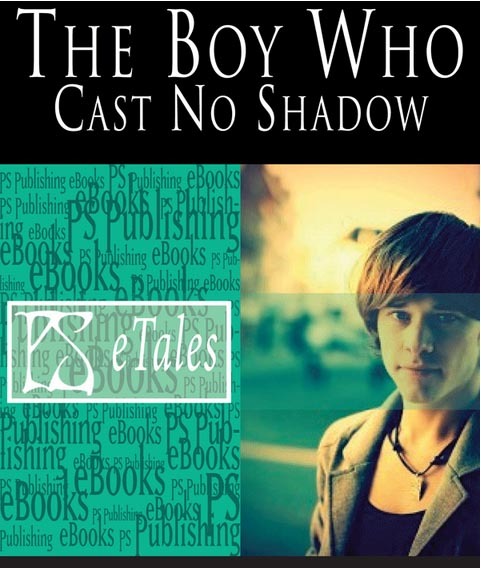 Today I’ll talk about The Boy Who Cast No Shadow by Thomas Olde Heuvelt (Dutch friends! Please help me with the correct pronunciation of his last name!) and Fade to White by Catherynne M. Valente. Look is an especially odd child. He has no shadow. It’s not just that a shadow doesn’t form behind or under him, there isn’t one under his nose, or his chin, it’s that no darkness forms around him, as if the sun refuses to acknowledge his existence. He doesn’t have a reflection either, and can’t be filmed or photographed. The original invisible boy. Unless of course, you’re in the same room as him, and then there’s just a lonely child, seen by everyone but himself. Look is the only weird kid at school until Splinter shows up and gives the bullies a new target. Splinter can’t help being the perfect fragile target for their verbal and physical abuse; he’s a boy made of glass, a child who reflects everything except himself. 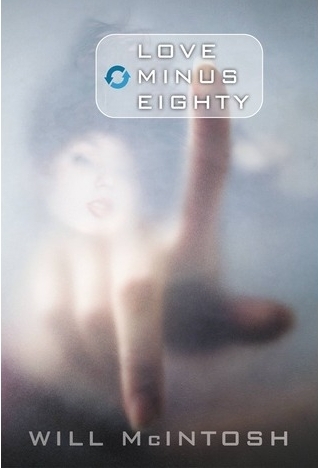 Last week I reviewed Love Minus Eighty, the new speculative fiction novel from Will McIntosh. 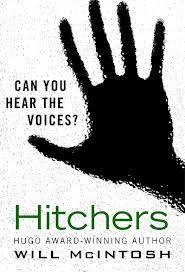 I might be new to his fiction, but McIntosh has already taken the speculative fiction world by storm, having won a Hugo for his 2010 short story Bridesicle, and his novel Soft Apocalypse (2012) is a multiple award nominee. 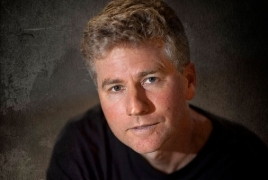 He’s been publishing short fiction and winning awards since the early 2000s, so I was over the moon thrilled when Mr. McIntosh agreed to answer a few questions about the new novel, movies, day jobs, and what’s next. Hi Will, thanks for joining us today! Thanks, glad to be here! Love Minus Eighty is an expansion of sorts of your short story Bridesicle. What was the inspiration for Bridesicle? Bridesicle started as a brief image that flashed as I was waking up one morning. It was Mira, frozen in her crèche, and as these things usually go, for some reason I knew this was a dating center. The story grew from there. At first I wrote it from the point of view of Lycan, a clueless man visiting the center for the first time, but after getting feedback I ended up shifting the point of view to Mira. Bridesicle has parallels to the world of Hitchers, but in Love Minus Eighty, we’re in a world with plenty of followers, but no actual, traditional hitchers. Why the change? I wrote a post for the Far Beyond Reality blog that explains this in more detail, but in a nutshell, I decided giving people the ability to upload their consciousness into someone else lowered the stakes, because it allows people to become basically immortal. It also makes for a really complicated story, if some of the characters are actually two, or five, or ten characters sharing one body. 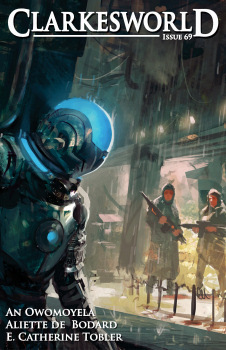 Sometimes a technology that seems cool in a short story introduces all sorts of complications when you’re telling a longer story. I read somewhere that Bridesicle was optioned for a film. How exciting! What was your reaction to that? Any thoughts on changes you’d like to see, or fear to see when Bridesicle or Love Minus Eighty makes it to the big screen? New books, and the best short video EVAR. Totally safe for work. Multiple award winner. Watch it till the end. Let me know in the comments if the video makes you crave a cup of coffee. If you don’t live near the great lakes, the star on my finger is the Petoskey/Boyne City/Little Traverse Bay/Charlevoix area. Lots of local tourism stuff, skiing, fishing, hiking, shopping, some of the best restaurants I’ve ever been too, and lots and lots of water. Rolling hills, beautiful countryside, and fresh water as far as the eye can see. Really freakin’ cold water. 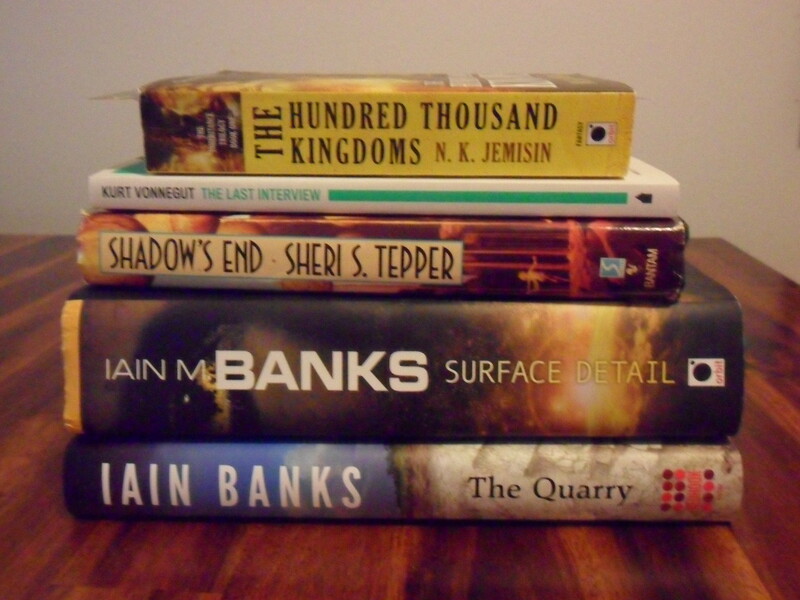 and of course books were purchased! See? This review has exactly one spoiler. And the [spoiler] mentioned happens right at the beginning of the book, so I don’t feel too bad about it. Insurance of the future has nothing to do with health, and everything to do with death. In the future, the wealthy pay for extended freezing insurance, to be cryogenically frozen at the time of death, ideally to be thawed out later when their family can afford it. Even for those without the monetary means, the idea of being buried in the ground is distasteful. Revival is big business, and one company has hit on a jackpot idea: allow wealthy patrons to speak with beautiful dead women at a dating center, and if a relationship develops, they can revive her and marry her. Sit down and think about that for a moment. It’s like a futuristic version of The Bachelor, only worse. The “bridesicles” are only awake, only alive, for a few minutes at a time. Like a speed dating system from hell, she has five minutes to convince whoever has awoken her to visit her again. Running the dating center isn’t cheap, wealthy patrons pay by the minute to speak with women who will do anything to stay awake, stay alive for just a few more seconds. what would you do to stay awake, when awake is the only time you’re alive? So. I’m eligible to nominate and vote in the Hugo Awards this year. 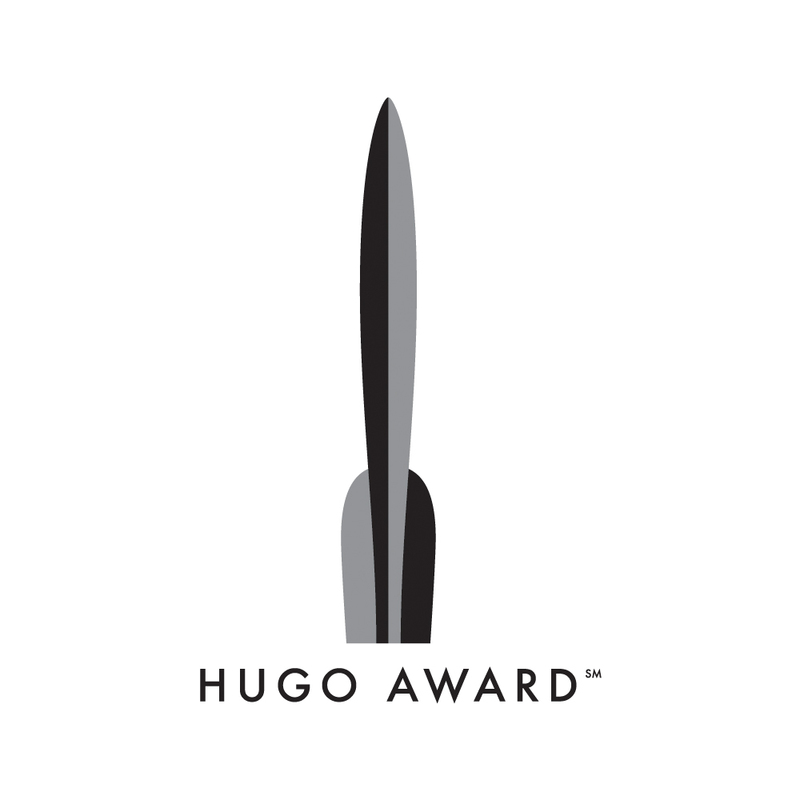 If you don’t know what I’m talking about, the Hugos are basically the Oscars of the Scifi/fantasy community. it is a very. big. deal. The nominating process was really fun. But now it’s time to look at everything in the voting packet and read as much of it as I possibly can. And it’s. . . intimidating. I’m slowly making my way through the “big” categories, short story, novelette, novella, novel, even Campbell award. I count myself very lucky that I’ve already read a few of the novels, two of the Campbell award nominees, and a two of the novellas. VERY LUCKY. Even with a head start, will I be able to get through everything I’d like to read by the end of July? my voting plans will stay a secret, but as I get through categories, I’ll publish my thoughts, link to earlier reviews, and we can generally discuss. Gardening + good drinks + mochi = happiness! Today is an amazing day. Everywhere I look, something is making me smile, is making me feel good about the universe. It’s a nice change of pace. – Yesterday I reconnected with a good friend from high school, and also with a few other friends I haven’t heard from in a long time. – I have a dinner date with my hubby later this evening. Ready for a photo dump of everything else that’s got me smiling big today? 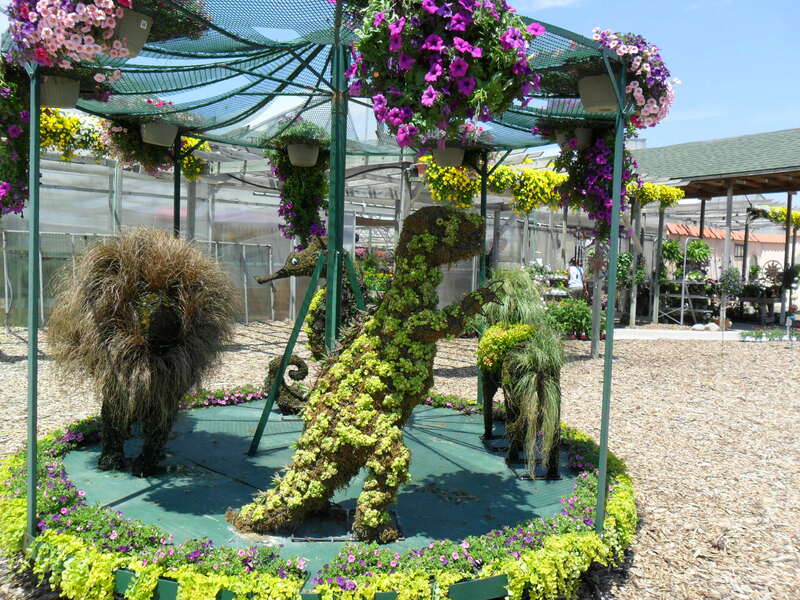 Went to the garden center to get a few more things for the garden, they had a carousel of topiary animals! I asked if I could take a photo and they said “we encourage it!” . It had a lion, a seahorse, a dinosaur and a horse. how cool! And it’ll just look better as the summer progresses, because all the grasses and other plants will root and grow taller. 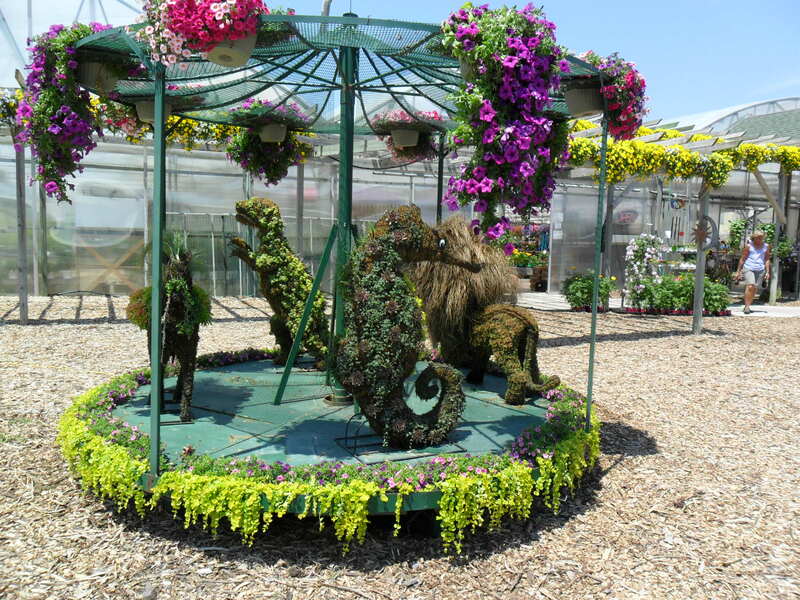 by the end of the summer the animals will be completely green. So now my balcony garden looks even nicer with some trailing accent things. not so much dirt showing. I wish the basil would take off though. Parsley, Dichondra (I think), Basil, Ivy, Zinnia w/Hypoestes and vine-y things.